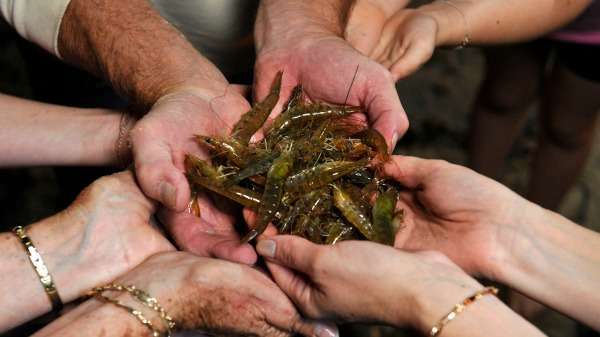 Prawns are returning to WA's beloved Swan and Canning Rivers thanks to a recent restocking program that has now seen 4.5 million juvenile western school prawns (Metapenaeus dalli) released into the iconic waterways. A multi-agency project hopes to restore the prawn fishery by boosting their population. Prawn populations plummeted between the 1950s and the 1970s but no one was exactly sure why. The city waterways had become polluted and suffered macroalgae blooms, yet despite active management in the 1960s and 70s to remove industry, close landfill sites and reduce point source pollutants as well as ongoing work to improve the health of the river, the prawns have not recovered. The restocking project sought to not only bolster prawn populations but provide answers as to what was limiting their natural recovery and how they respond to different water conditions. Effort to restock started in November 2012 with community volunteers engaged through Prawn Watch to catch egg-carrying female prawns in the shallow waters where they congregated to spawn. The pregnant females were placed in carefully controlled aquaculture tanks at the Australian Centre for Applied Aquaculture in Fremantle, where they released their young. The tiny hatchlings then remained in the aquaculture facilities for three weeks—enough time to grow to a size at which they could avoid simply drifting on the currents as plankton and instead bury into the sand for safety. The juveniles were then released in the same waters from which their mothers were taken. The restocking occurred in batches over four years, culminating in the biggest restocking this year, when almost two million prawns were released. Monthly sampling of prawn populations has been undertaken by Murdoch University since the restocking program began in an attempt to learn more about the prawns, their recovery, predation and how they react to environmental variables such as salinity, temperature and oxygen. It will take a few more months before the extensive monitoring dataset is fully analysed, Department of Parks and Wildlife Rivers and Estuaries Division principal scientist Kerry Trayler says. But she says preliminary assessment indicates the population is increasing, despite ongoing fishing pressure. "We think this project is making an impact," Dr Trayler says. 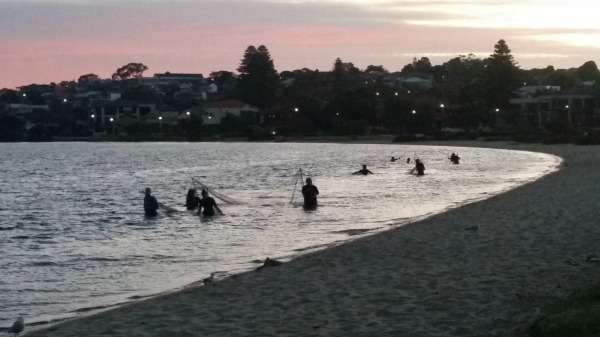 "Obviously releasing prawns into an environment in which the community is inclined to go out and catch your stock has some downfalls." "Yet, despite that fishing pressure, we are seeing improvement in the stock since the project began."